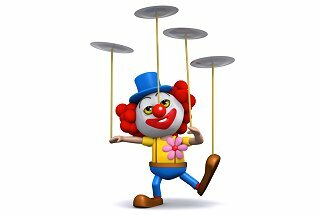 Life - at work or at home - can be a bit like one of those plate spinning acts in the circus. You may be good at time management and you may have cut your jobs down to the essentials but sometimes it’s still impossible to get to everything. Sound familiar? What you need is delegation.